Order for delivery of Pleasant Pink Romper by MiniKlub to your special little one. This amazing Romper is an excellent daily wear. 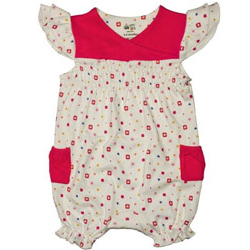 Curated out of cotton fabric, this Romper will make your little one feel and look comfortable.